Jesse Quam is an experienced clinician and licensed clinical social worker (LCSW) who joined John Huie & Associates as educational consultant in May 2015. He has served in some of the most efective therapeutic wilderness programs and schools on both the East and West coasts. For seven years, Jesse worked with struggling adolescents and families as senior wilderness instructor and field director for highly successful programs in Utah. There, he and his wife, Grace, also a wilderness instructor, first met. Jesse served as front line staff in several group homes—first in California and later in Massachusetts, where he earned his Master’s degree from the Boston College Graduate School of Social Work while Grace taught in Boston area charter schools. In 2005, he accepted a position with SUWS of the Carolinas, where he served for 10 years as therapist and clinical director. There, he pioneered and led the nationally-acclaimed Seasons Program for younger teenagers. Jesse is widely recognized for his skillful work with adolescents, young adults, and parents. 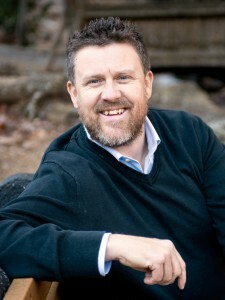 He teaches a course in outdoor leadership at Montreat College, and is a respected, in-demand presenter at professional conferences nation-wide. He is an associate member of the Independent Educational Consultants Association (IECA), and an Affiliate Member of the National Association of Therapeutic Schools and Programs (NATSAP). Jesse and Grace live with their three children—Elsa, David, and Samuel—on their homestead near Black Mountain NC, where they raise chickens, ducks, and rabbits, and cultivate their organic garden. John Huie has been a teacher and educational leader all of his adult life. A native of Albany, Georgia, he’s a graduate of Davidson College, with a BA degree in history and a minor in psychology. He earned his Master’s degree in American Studies at Emory University in Atlanta, and a PhD in Education at the University of California, Santa Barbara. John’s career began with teaching English at McCallie School in Chattanooga, Tennessee. He taught and served as Dean of Students at St. Mark’s School of Texas in Dallas and served as Headmaster of Verde Valley School in Sedona, Arizona. He served as an assistant professor of Clinical and Field Studies in the College of Education at Queen’s University in Ontario, Canada, where for a short time he held landed immigrant status. During his service as a US Army Lieutenant in France and Germany, John taught adult education classes in writing and served as editor of a command newspaper. Later, John helped develop the Minnesota Outward Bound School where he served as Instructor and Program Director. His commitment to wilderness education led him eventually to the North Carolina Outward Bound School, where he served as Executive Director 1977 to 1994. During those years, more than 40,000 young people graduated from the school’s character-building courses in North Carolina, Georgia, Florida, Mexico, Costa Rica, and Peru. 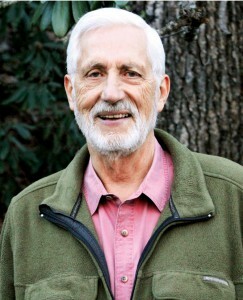 In 1995, John helped initiate the Environmental Leadership Center of Warren Wilson College, and served for eleven years as its Executive Director. John then organized a board to initiate Muddy Sneakers, an outdoor environmental education program reaching elementary school children in Western North Carolina. As that program took root, he immersed himself more fully in his current role as an Educational Consultant. He is a member in good standing of the Independent Educational Consultants Association (IECA)—committed to the highest standards of professional service, and an Individual Affiliate of the National Association of Therapeutic Schools and Programs (NATSAP). in 2006, John received the Long Leaf Pine Award for his leadership and service on behalf of America’s youth. John and his wife, Jaan Ferree, make their home in Asheville NC, where Jaan is Chair of the Public Arts and Cultural Commission. They are at home in the mountains of Western North Carolina, involved in the community, and enjoy visits with their blended family of six grown children.